Biscuits are the epitome of soul food. 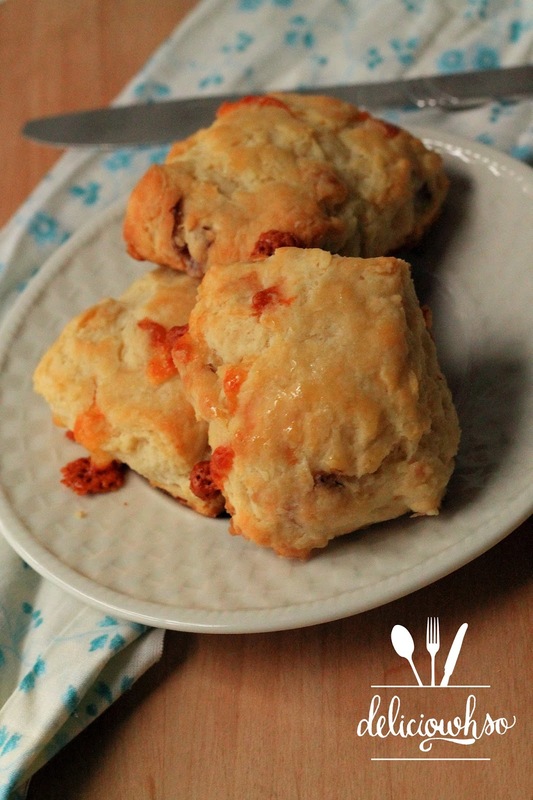 These biscuits are flaky and delicious. Have them with a little bit of honey for a perfect balance of sweet, salty, and savory. 2. Cut butter into small 1/2 inch cubes. 3. Place the flour, sugar, and salt in a bowl with the butter. 4. Separate all of the cubes and flatten them each between your fingers. 5. Once the butter is flattened, rub the mixture between your fingers until the butter flakes become small, about pea sized. 6. Cook the bacon in a frying pan and slice it to small pieces. 7. Mix the bacon bits and cheese into the biscuit mix. 8. Add the buttermilk and mix until it comes together. 9. Turn the dough over onto the table and fold over itself a couple of times. 11. Place the biscuits onto a baking sheet and bake for about 20-25 minutes. 13. Once the biscuits are golden and the centers are baked through, remove from the oven and brush thoroughly with butter. Serve warm. Sorry for the late post! It has been an extremely busy weekend. I will be back again Sunday night 10pm! 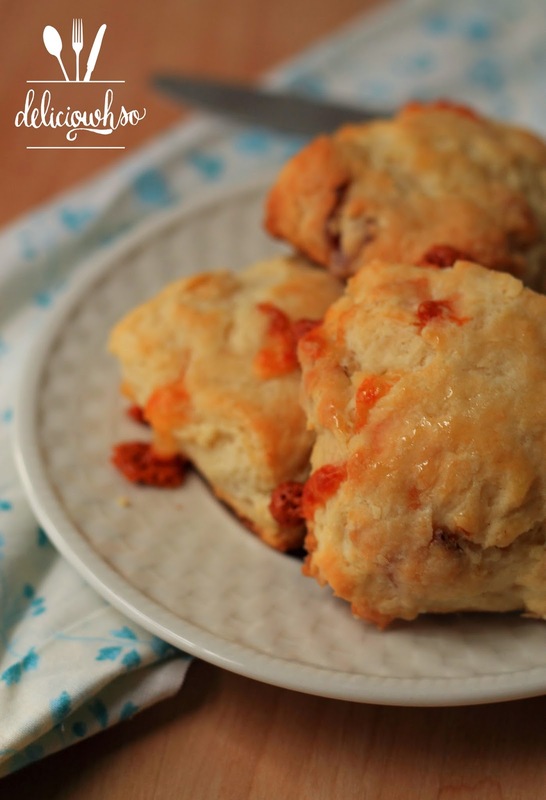 Until then, enjoy some yummy soul food- delicious biscuits! Also, happy St. Patrick's Day!